OTB Gear Radiator Overflow Tanks are just about as stylish as they come! This Reservoir Tank is 16 inches tall, 2 inches in diameter, and features a 2 part aero style cap that allows for proper alignment. 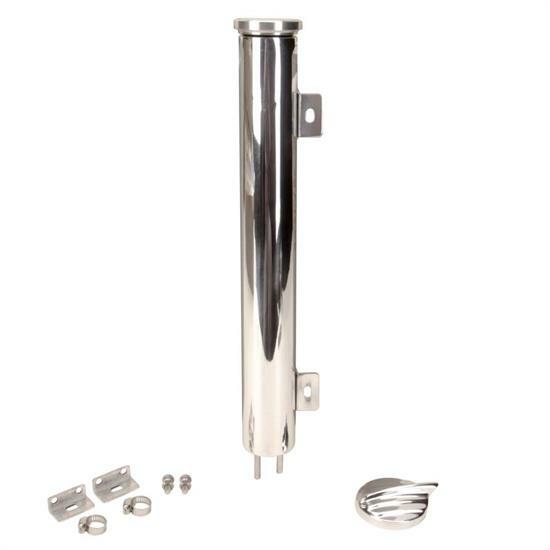 These tanks are constructed out of polished aluminum for a very slick look and are the perfect addition to your custom street rod or muscle car!